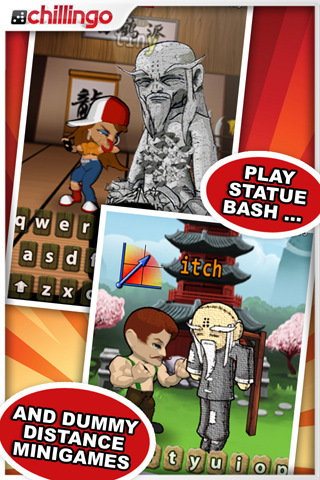 TXT Fighter for iPhone is a fast finger pumping texting game wrapped up in a fighting arena. 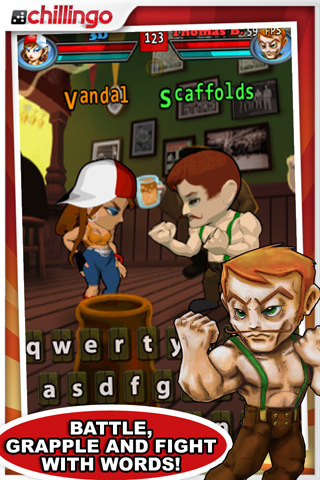 Chillingo hit the nail on the head with this crazy addictive title where every word you text gives you the strength to wallop your opponent. TXT Fighter’s graphics are cleverly executed with heavy hitting caricatures bursting with muscle and themed fighting arenas to match. When you step into the fight against an Irishman, for example, you end up in a bar full of brews and a brute in green suspenders. There’s a lot to appreciate here and TXT Fighter manages a perfect balance between serious combat title with a game that’s perfectly satirical of the whole fighter genre. The combat scene is coupled with a power health bar and a display of words with different options based on how heavy you want to hit your opponent. If you type the orange word, for example, you punch your opponent, but green gives you the power to kick your adversary. If you make a mistake you can count on getting a hard slap in the virtual face, and the battle ensues until someone’s health drops off into nothing. TXT Fighter has Arcade Mode, Instant Fight, Vs Mode, and Mini Games. Everything is connected to Crystal, and the mini games are decently fun. 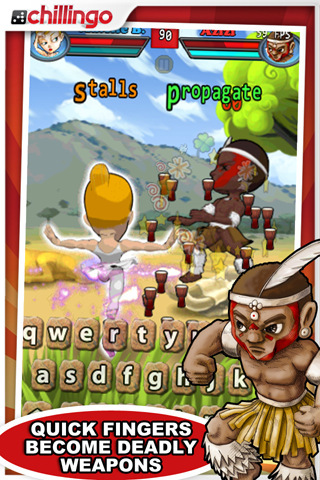 Still, what most people will love most about TXT Fighter is the fact that the game builds your texting skills in the context of a fun fighter. The only quip I have with TXT Fighter is the fact that it the keyboard within the game is a little different than the default text keyboard on the iPhone. I still feel like the game made me a better texter overall, but it would be nice to have the option to toggle between the TXT Fighter keyboard and that of the original iPhone keypad. Other than that, TXT Fighter is an absolute blast, not to mention the fact that this is one of the few titles that will actually build your skills while you’re in the arena. 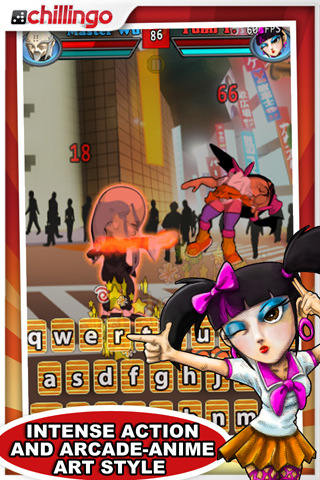 Bottom Line: TXT Fighter is a clever fast-texting finger fighter wrapped up in a well executed fighter scene. It’s fun, addictive, and perfect for people who seek new and creative means for practicing the art of texting.